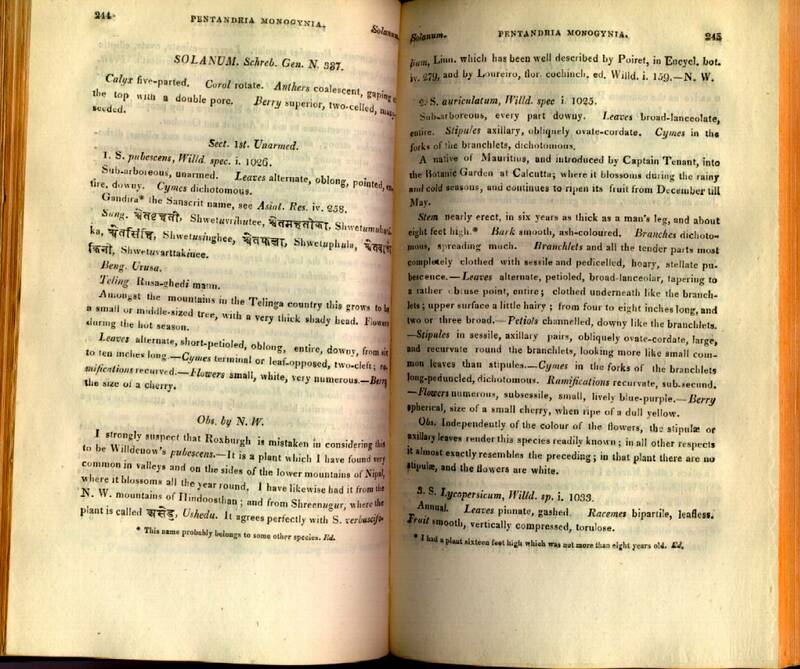 In 1820 at the Mission Press in Serampore, William Carey posthumously edited and published vol. 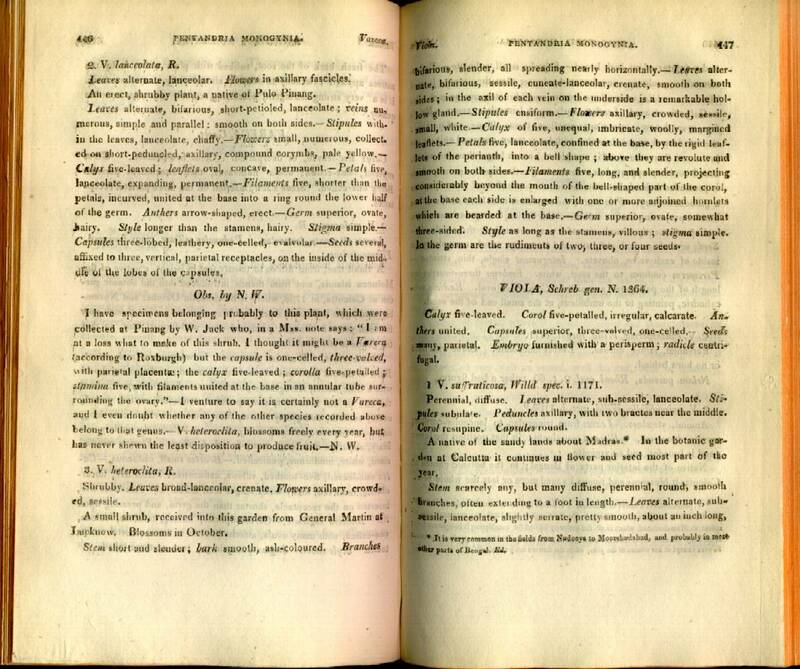 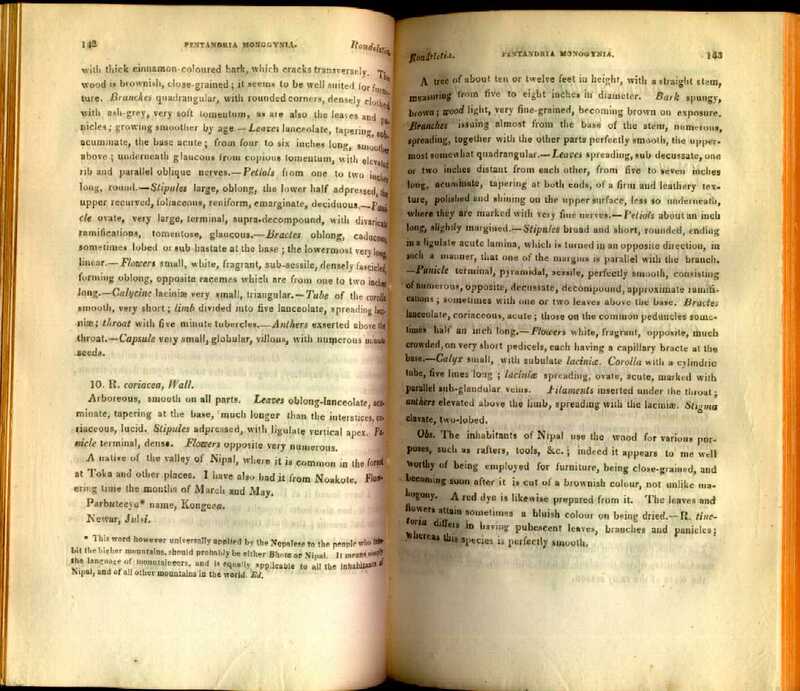 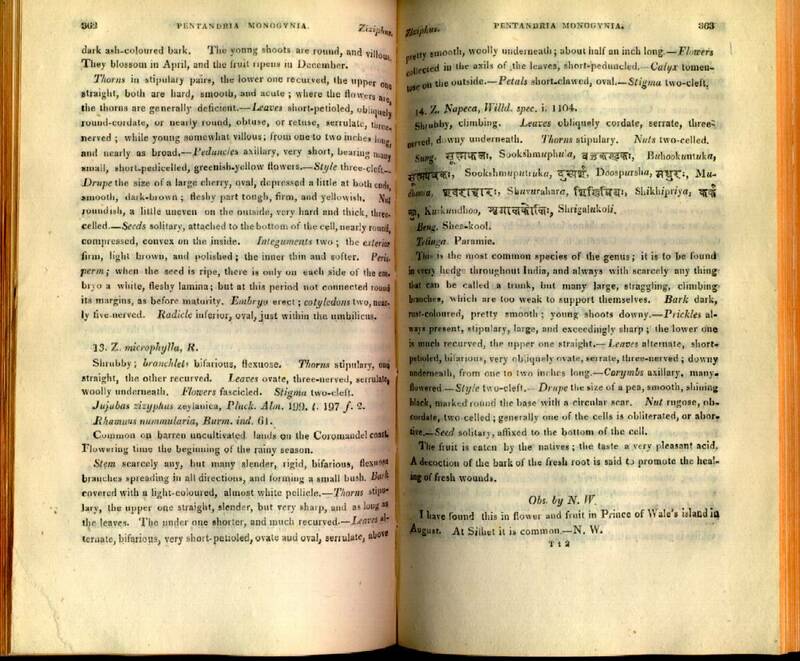 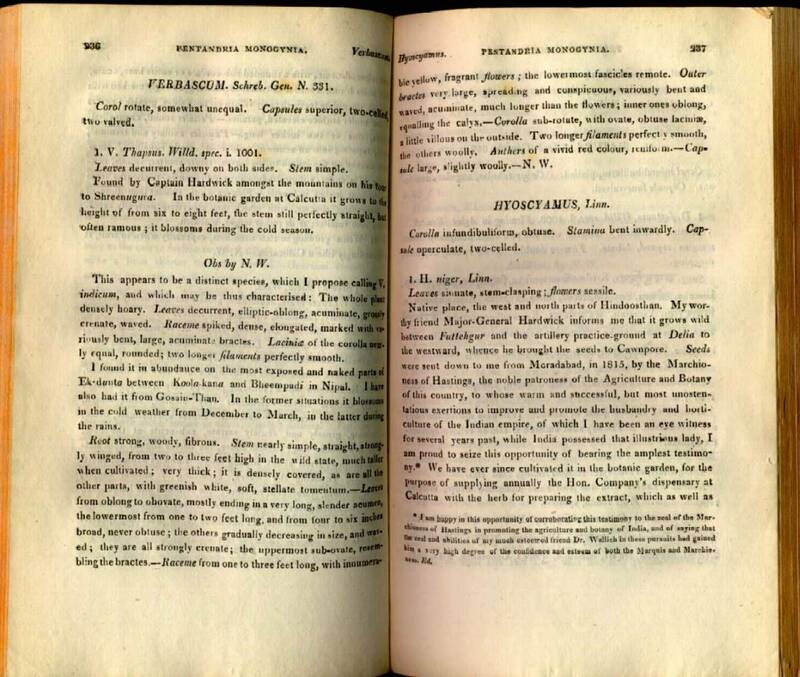 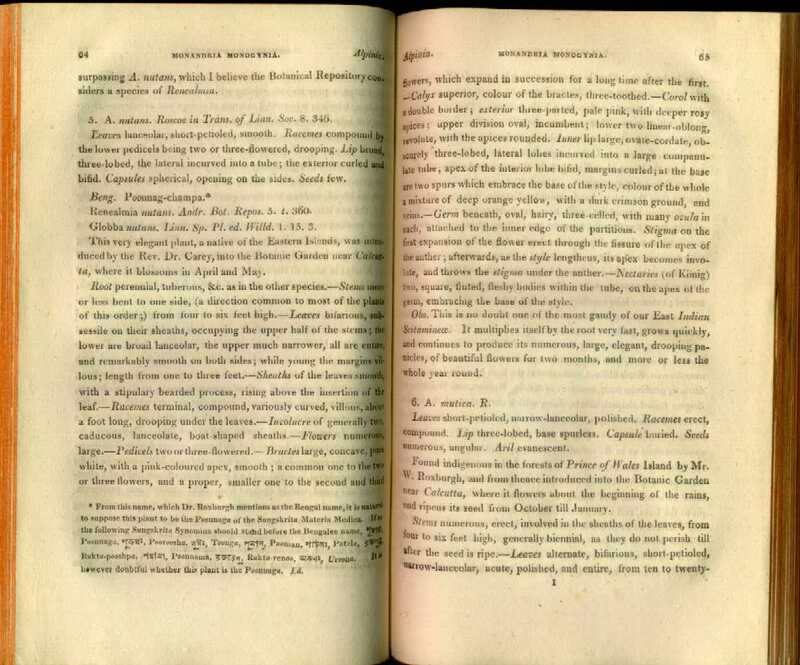 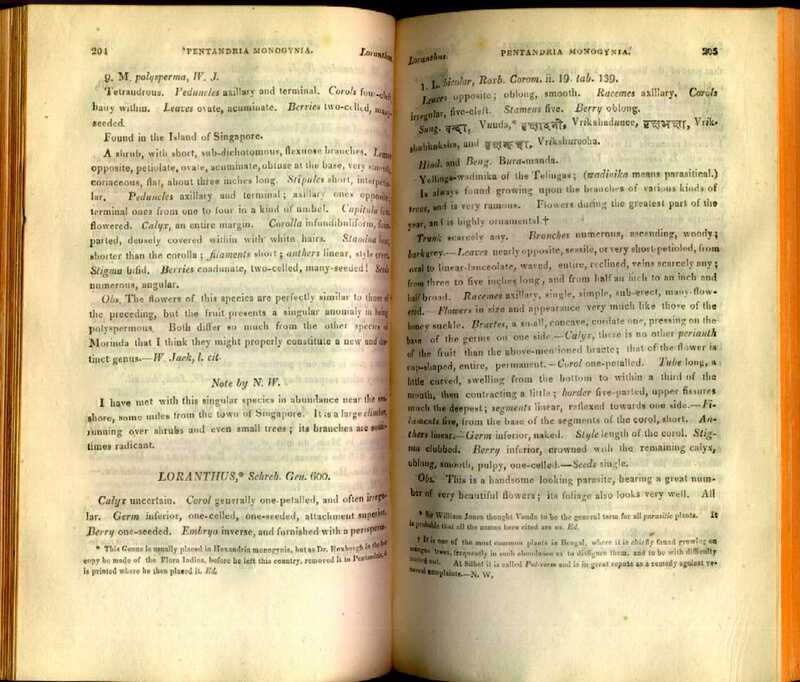 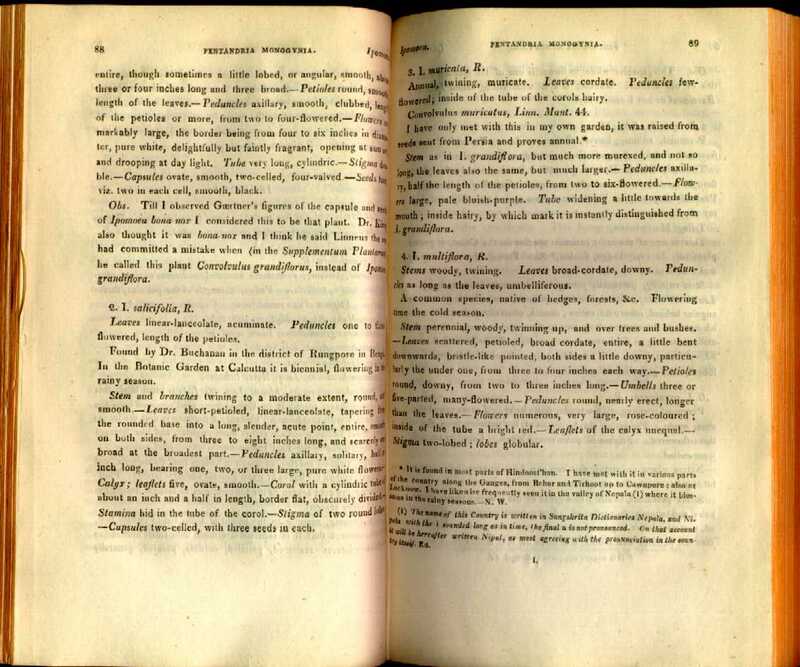 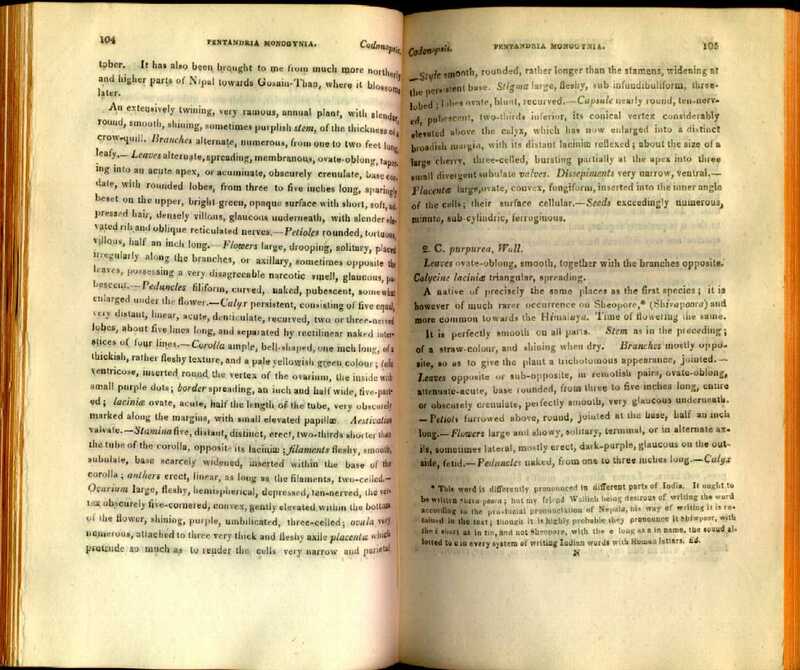 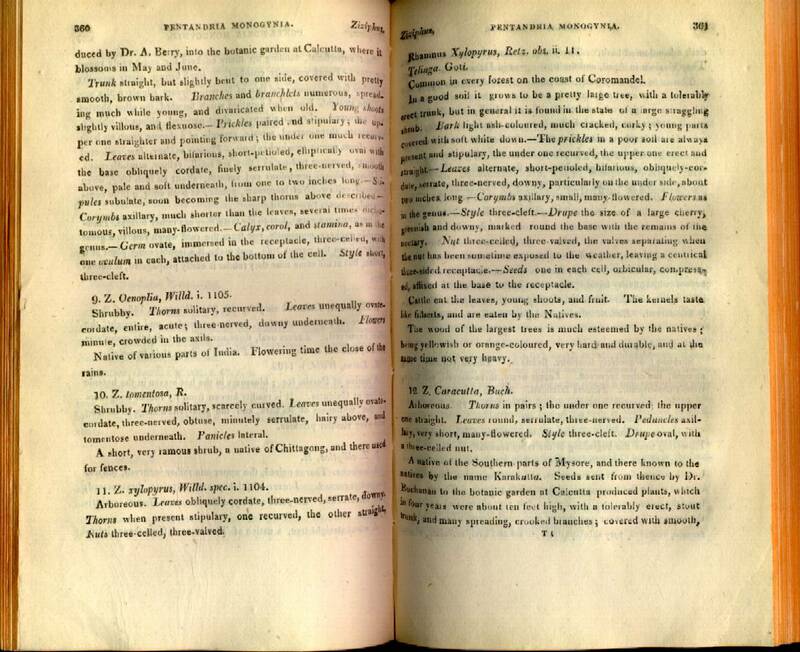 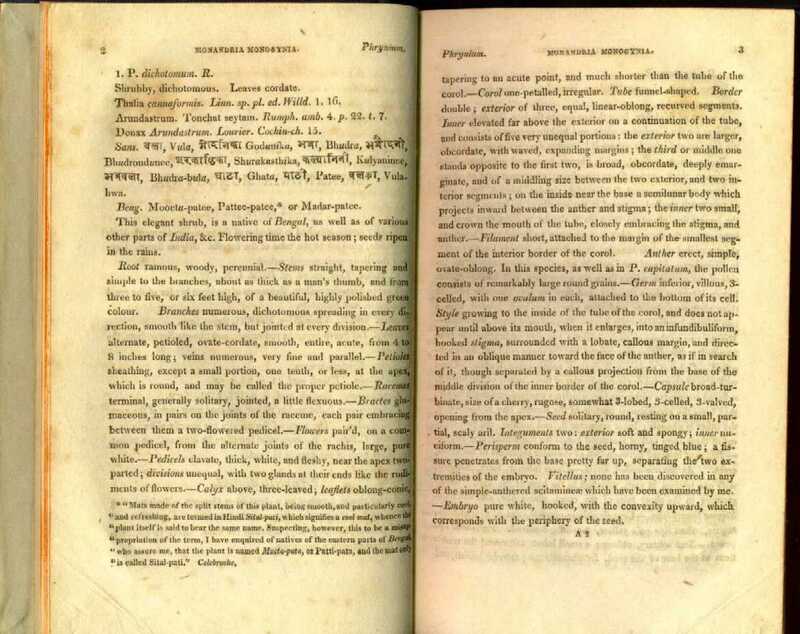 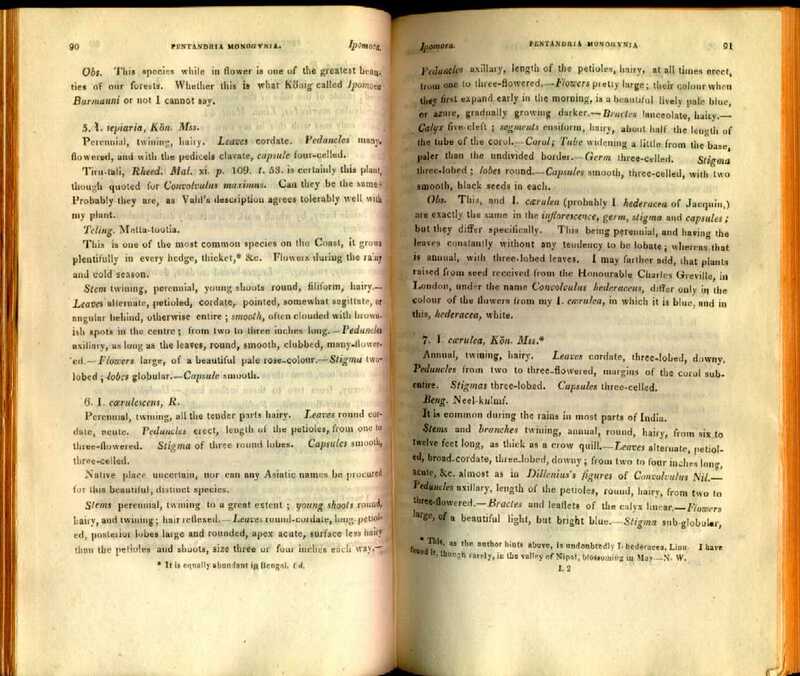 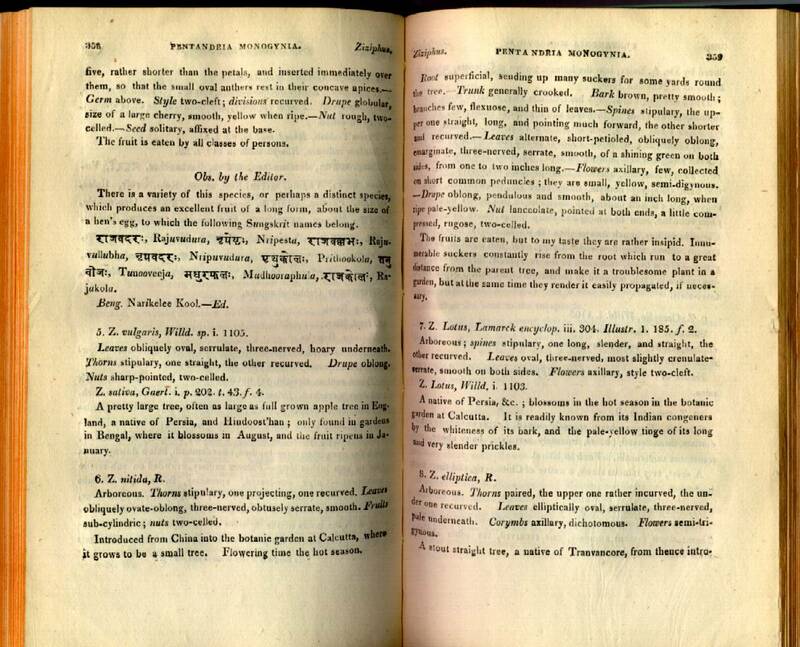 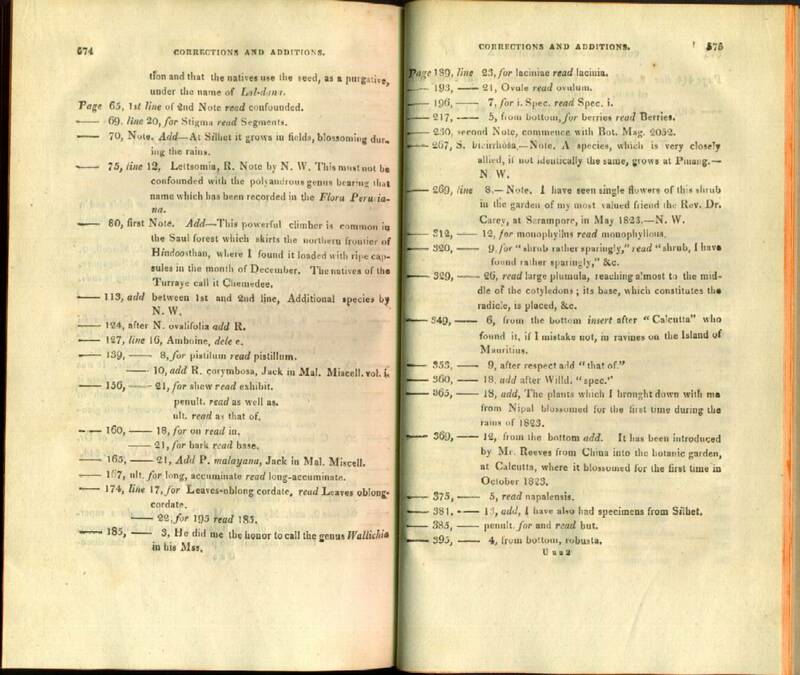 1 of Dr. William Roxburgh's Flora Indica; or Descriptions of Indian Plants. 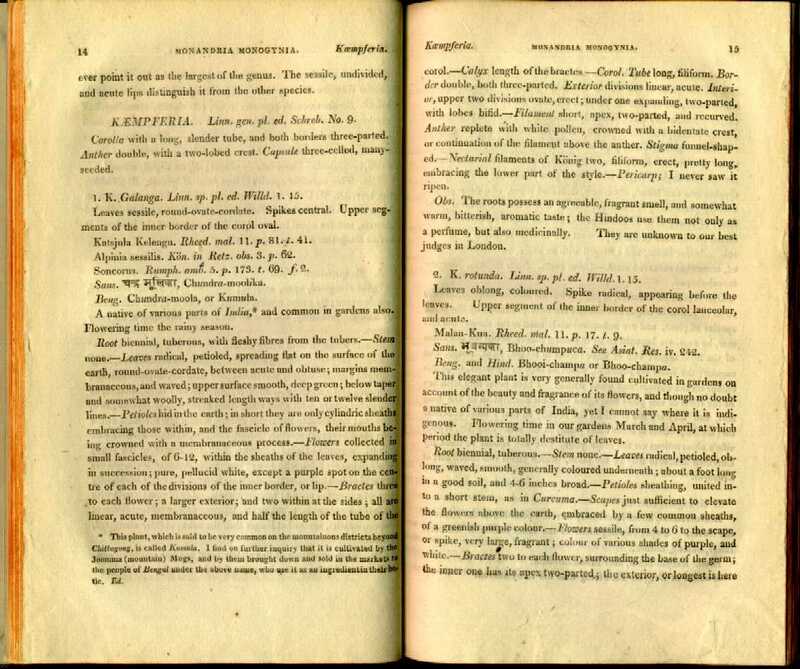 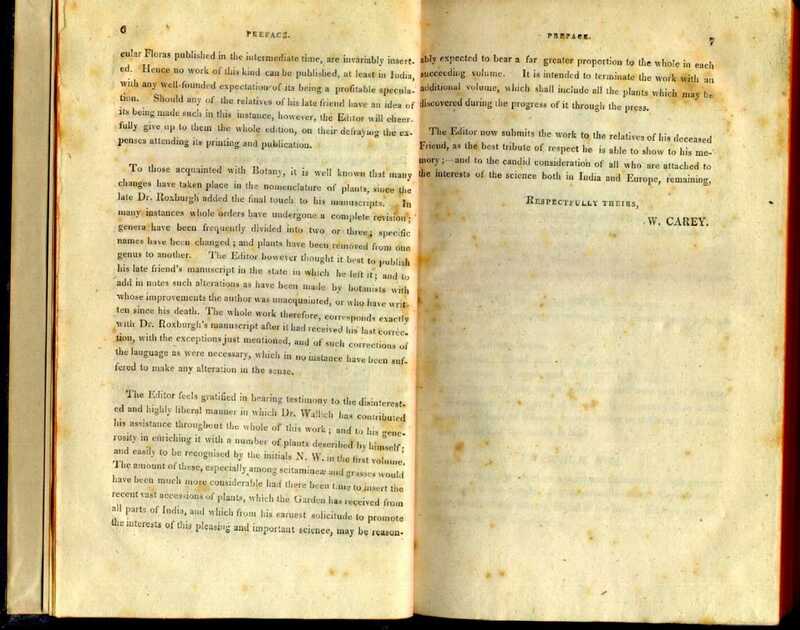 In 1824, Carey edited and published vol. 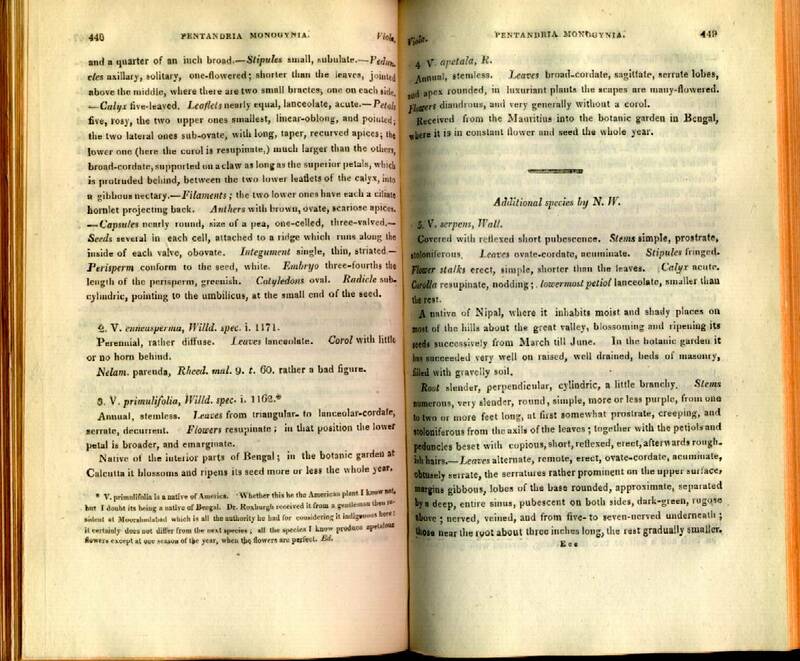 2 of Roxburgh's Flora Indica, including extensive remarks and contributions by Dr. Nathaniel Wallich. 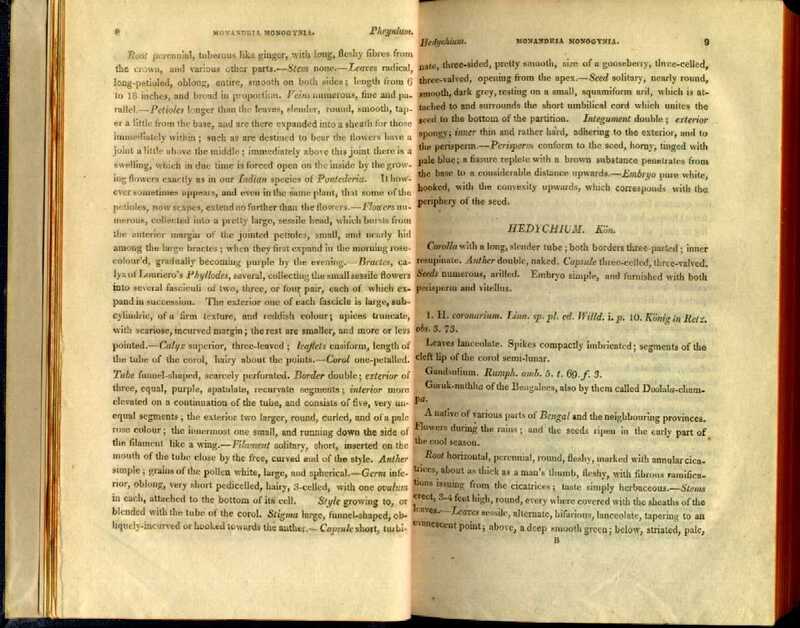 Roxburgh (1751-1815) was an eminent botanist, horticulturalist, and physician. 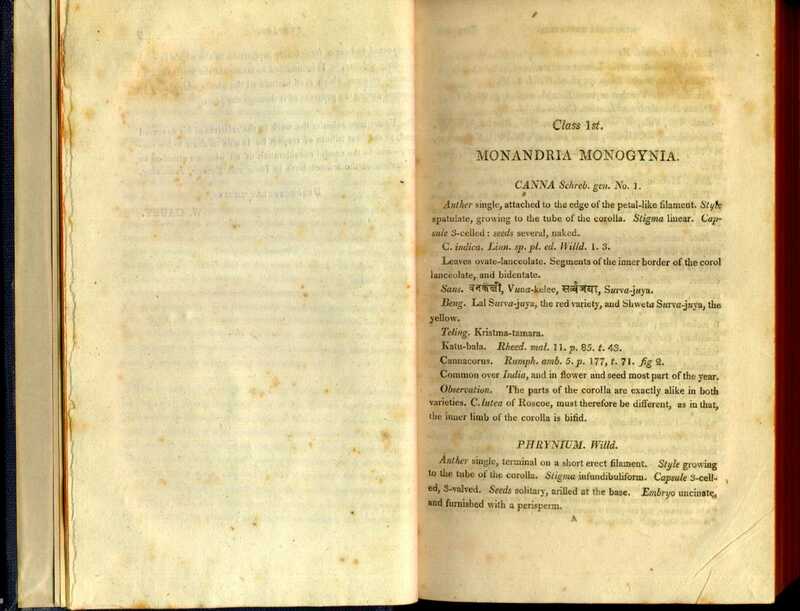 From 1793 until his death, Roxburgh was the Superintendent of the Botanic Garden in Calcutta, India. 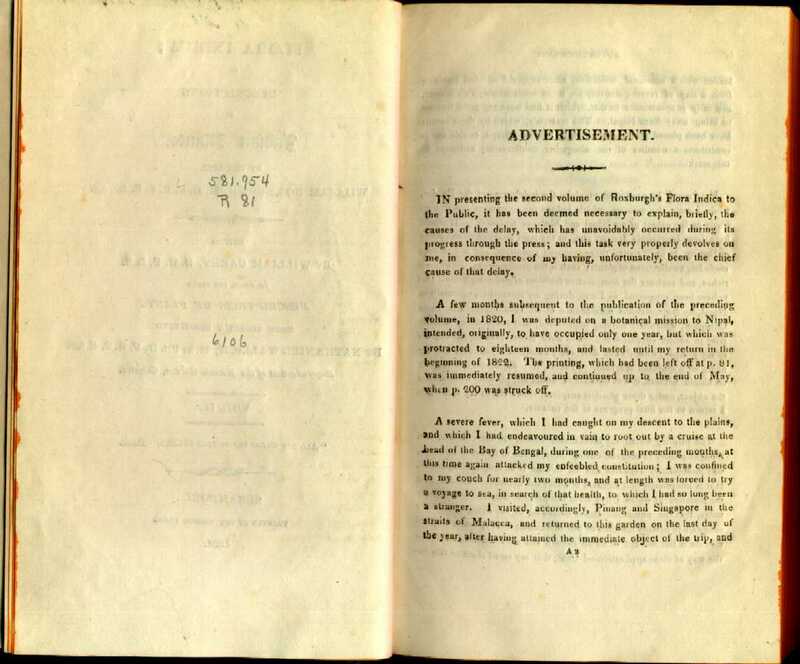 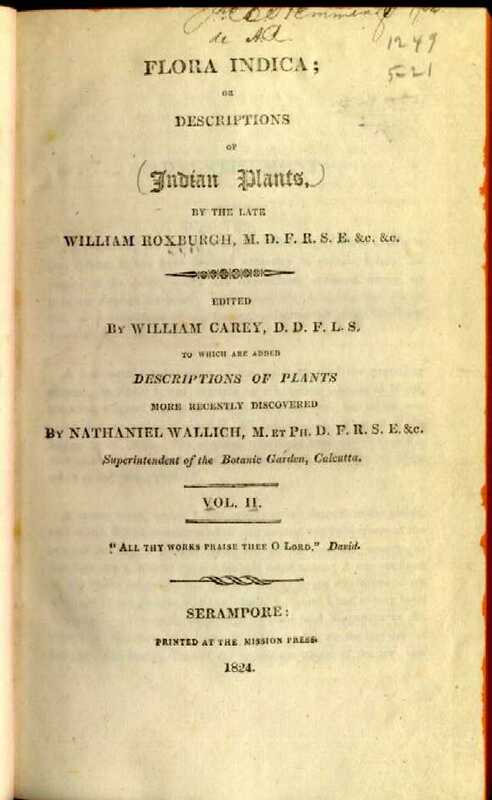 At the time of these two volumes' publication, Dr. Nathaniel Wallich, a botanist and physician, held the position of Superintendent of the Botanic Garden, Calcutta. 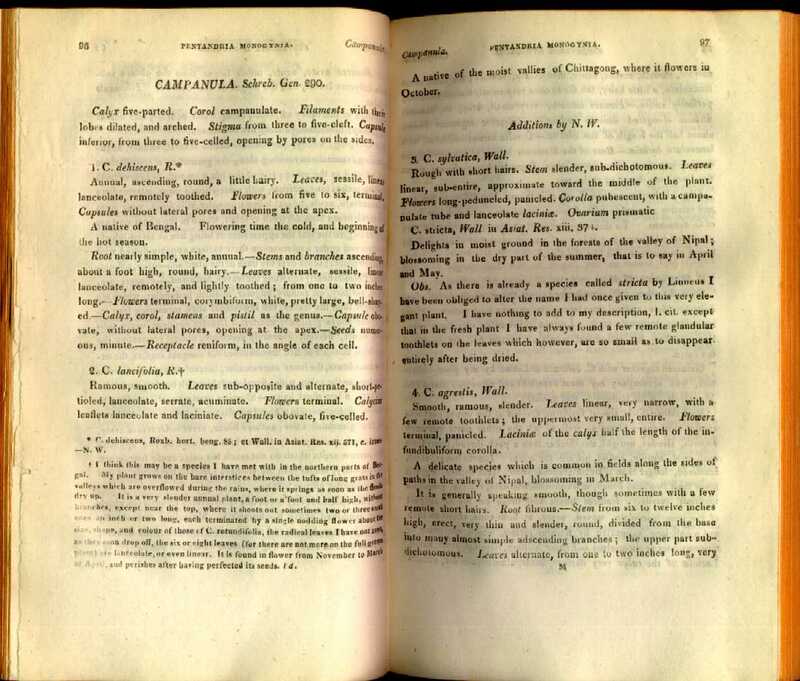 Originally established in 1787 by the East India Company, the Botanic Garden held significant interest for William Carey, and the garden still exists today as the Indian Botanic Garden. 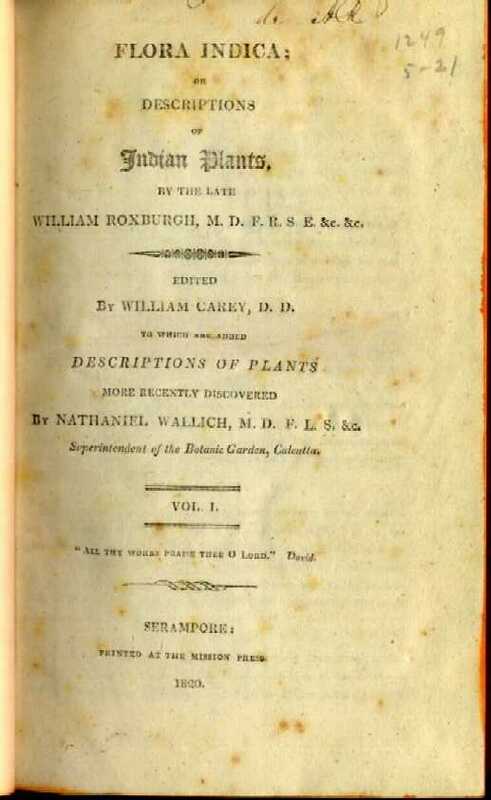 Several plants and flowers are associated with Dr. William Roxburgh. 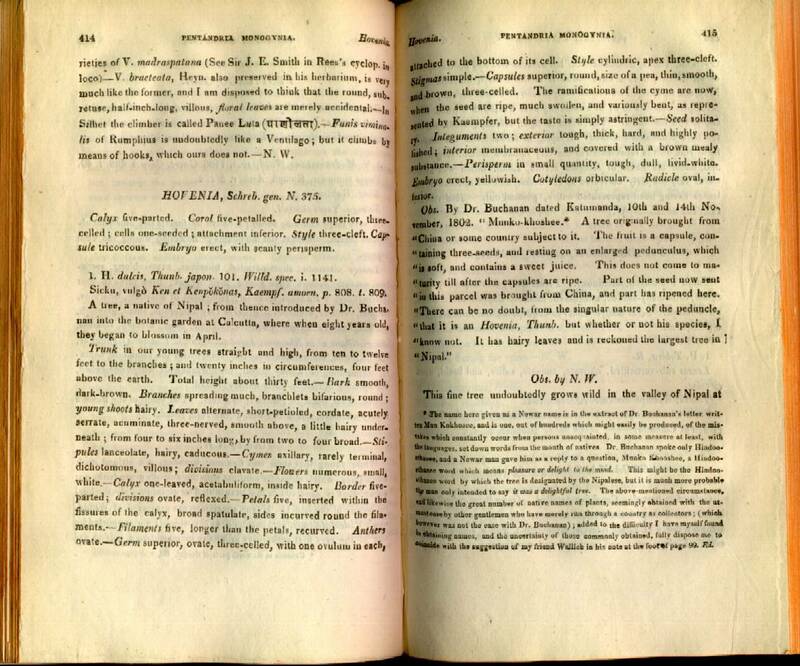 At least one specimen appears on the internet. 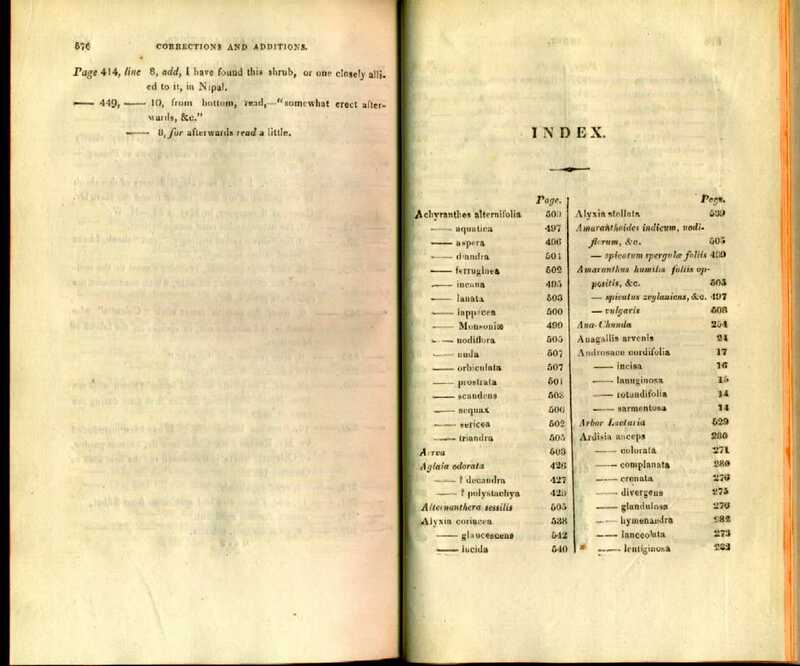 Named Rosa Roxburghii, this rose also is known as "Chestnut Rose," and was placed in the Botanic Garden, Calcutta, in 1824. According to John Overton Choules, Christ's Messengers; or, the Missionary Memorial (New York: E. Walker, 1845), p. 335, Roxburgh named the Saul tree Careya aborea. 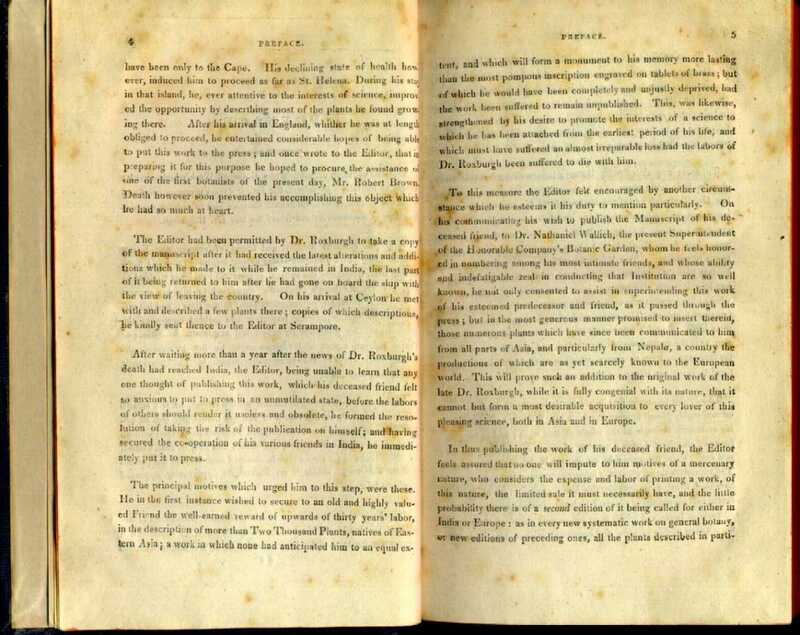 In vol. 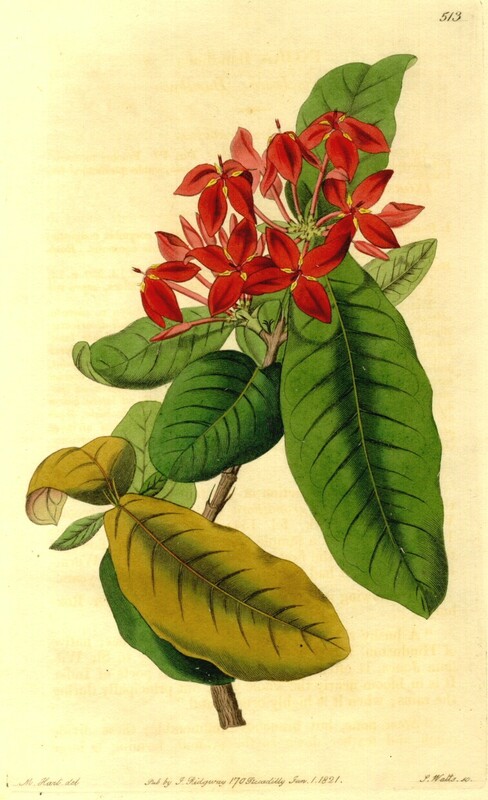 I, Roxburgh gave an account of Ixora Bandhuca (Bushy Ixora), describing the plant as "A bushy shrub, uncommonly full of branches; native of Hindustan, the flower of which, according to Sir William Jones, is often alluded to by the best poets of India. 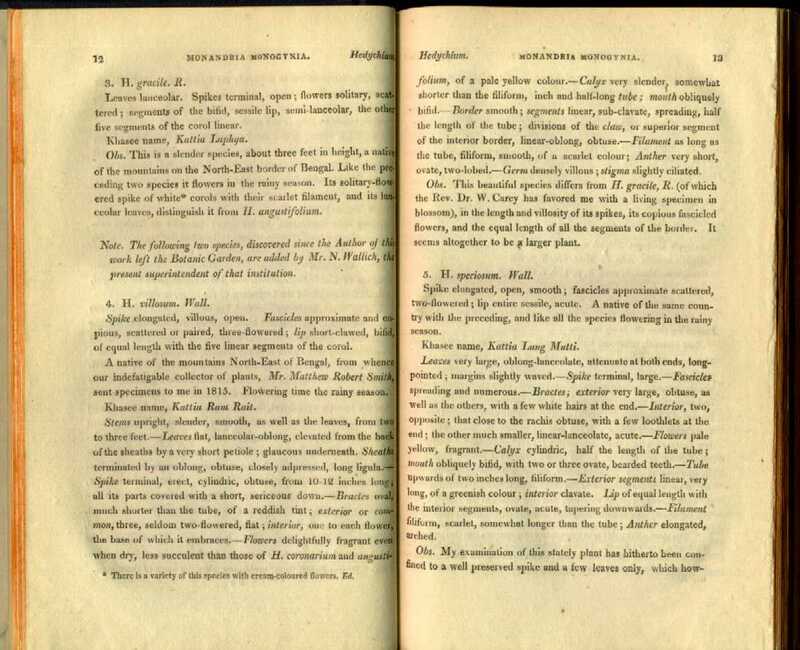 It is in bloom nearly the whole year, but principally during the rains; when it is highly ornamental." 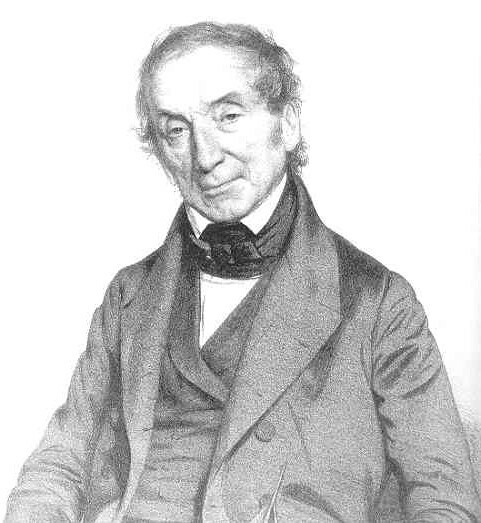 For a large version of this portrait, click here. 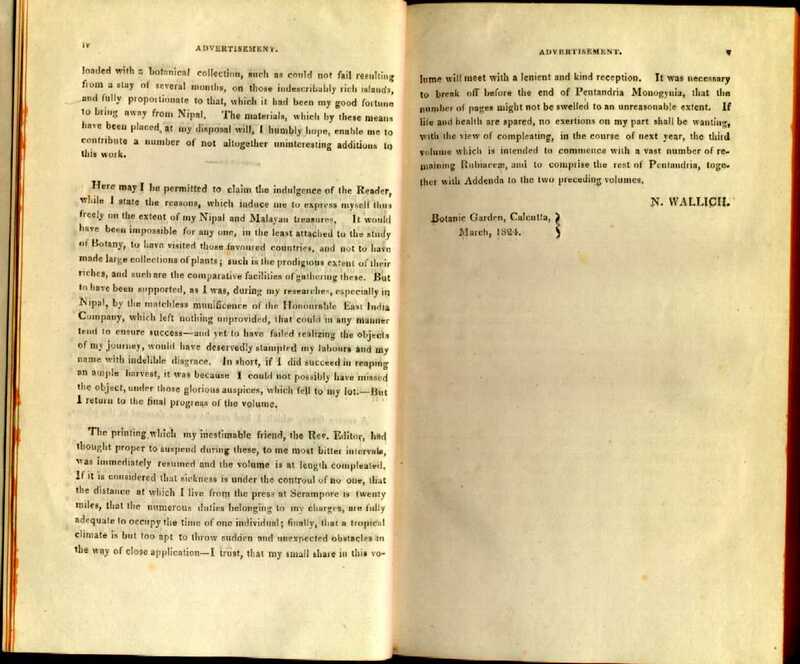 In 1814, the Asiatic Society--under the leadership of Dr. Wallich--established the "Oriental Museum of the Asiatic Society." 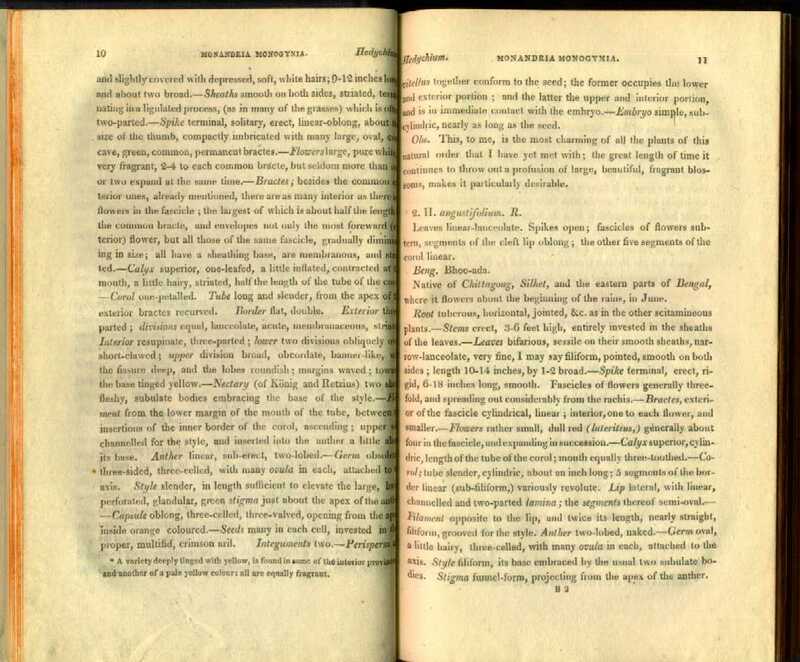 On June 1, 1814, Dr. Wallich took charge of the new Museum as its founding curator. 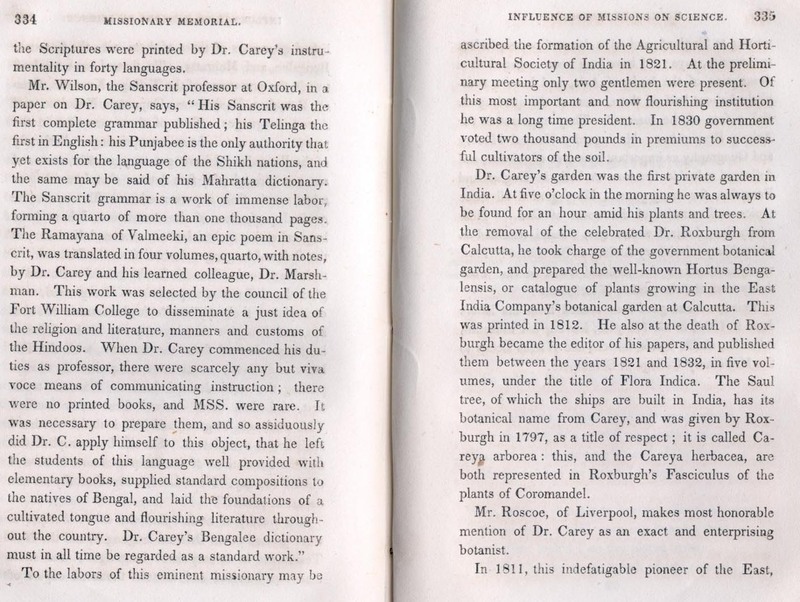 William Carey was a member and officer in the Asiatic Society. 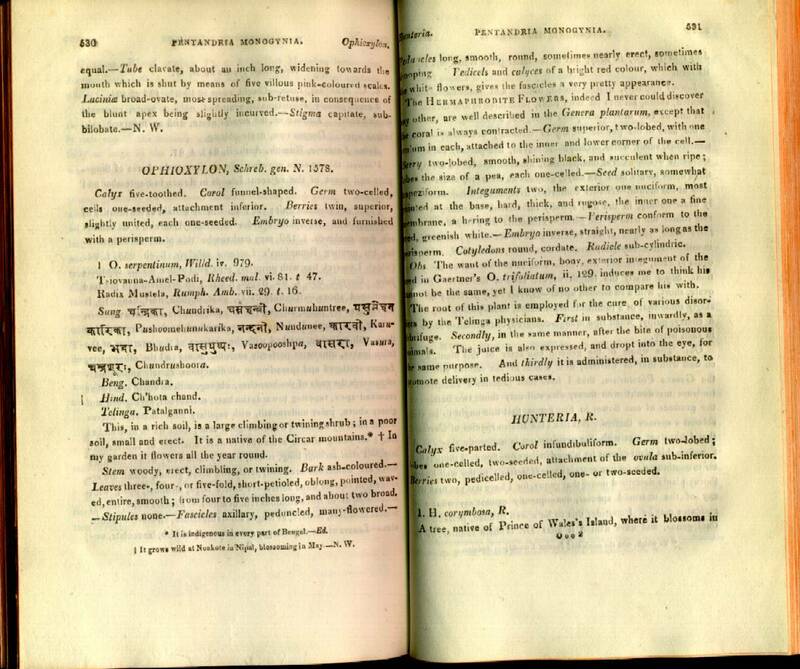 After 1866, the Asiatic Society gave over its holdings in the Oriental Museum of the Asiatic Society to the Indian government; these holdings now constitute part of the Indian Museum, Calcutta. 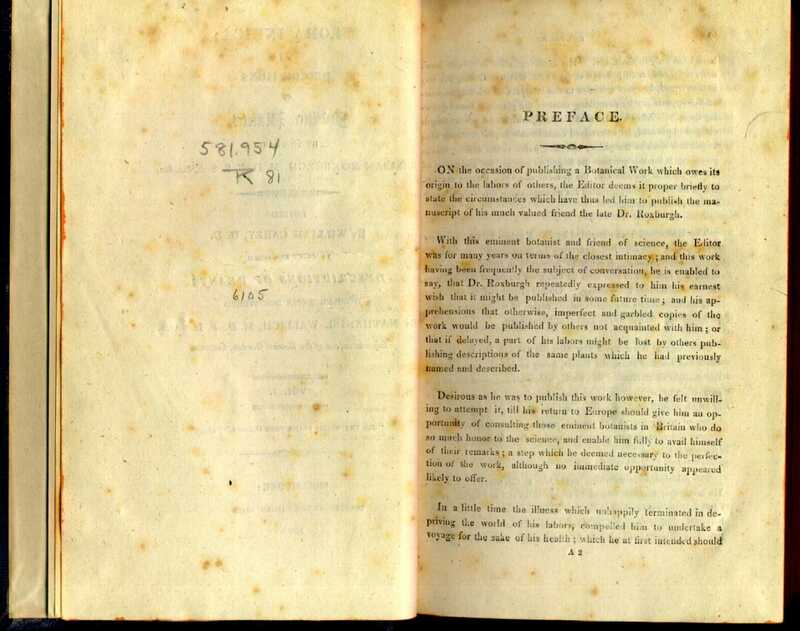 However, the Asiatic Society maintains its own Museum of the Asiatic Society in Calcutta. 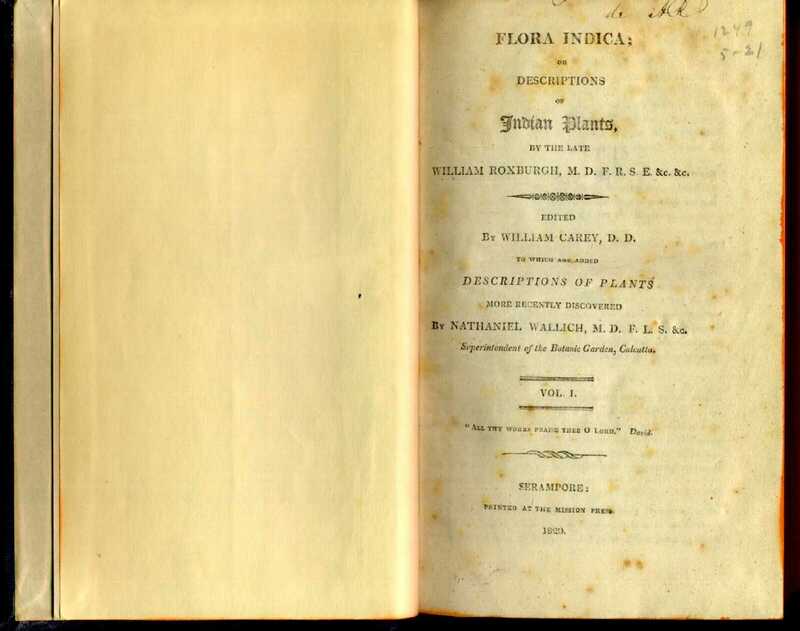 Carey and Wallich's friendship continued long after the publication of Flora Indica, In 1834, both Carey and Wallich contributed botanical specimens to the Royal Society of Agriculture and Botany's Winter Show in Ghent, Belgium. 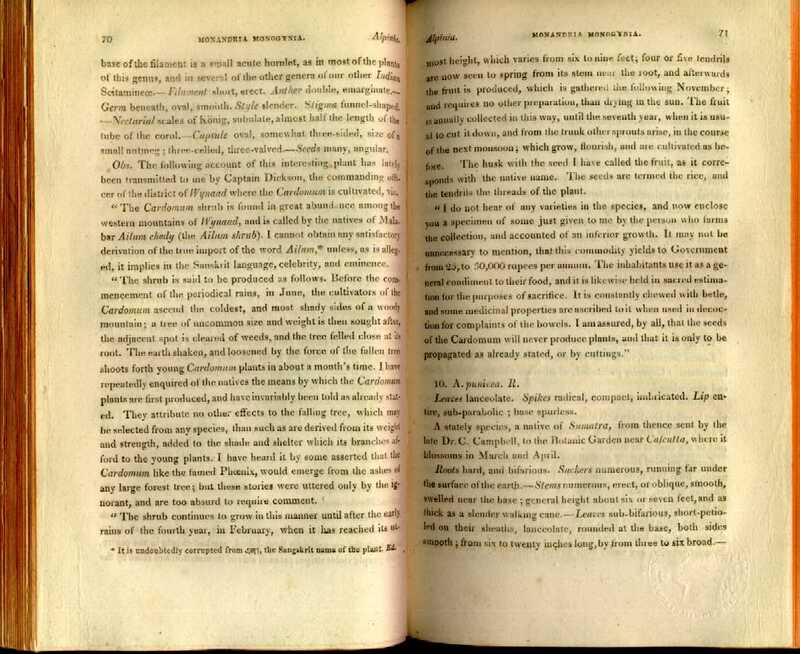 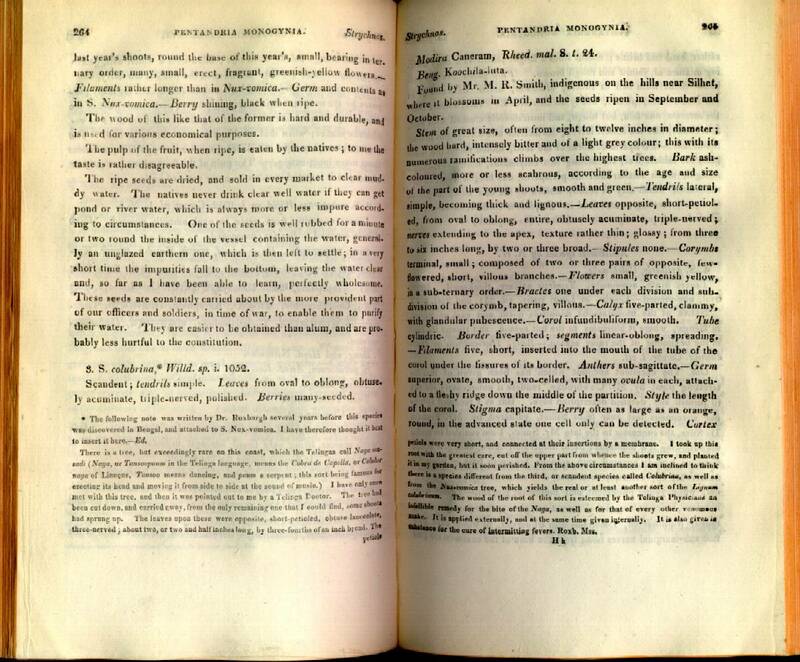 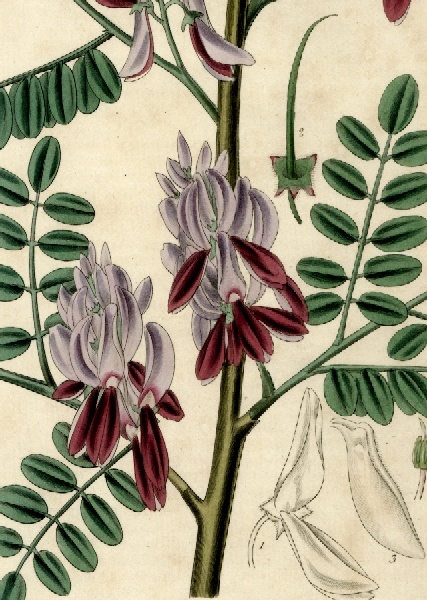 Also, in the 1834 edition of Flora Indica, Indigofera violacea is discussed along with twenty-four other vareties of indigo. 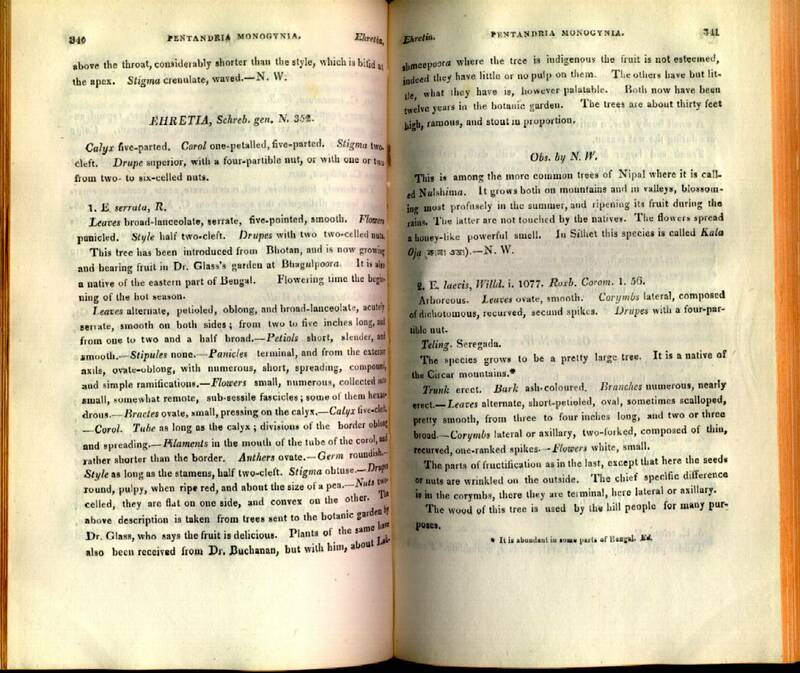 Of interest is the fact that Carey worked in an indigo factory for several years prior to settling in Serampore (1800) with Joshua Marshman and William Ward. 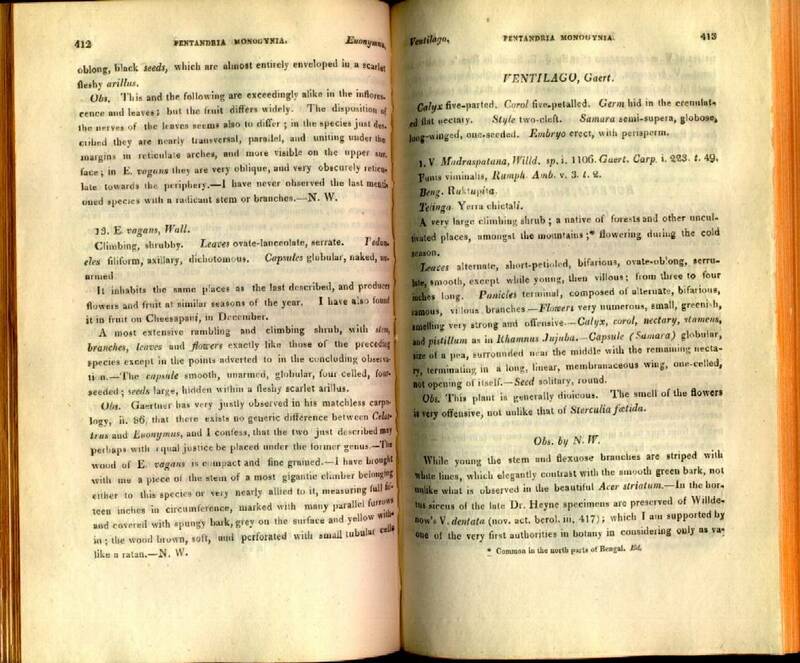 Prolific writers, Drs. 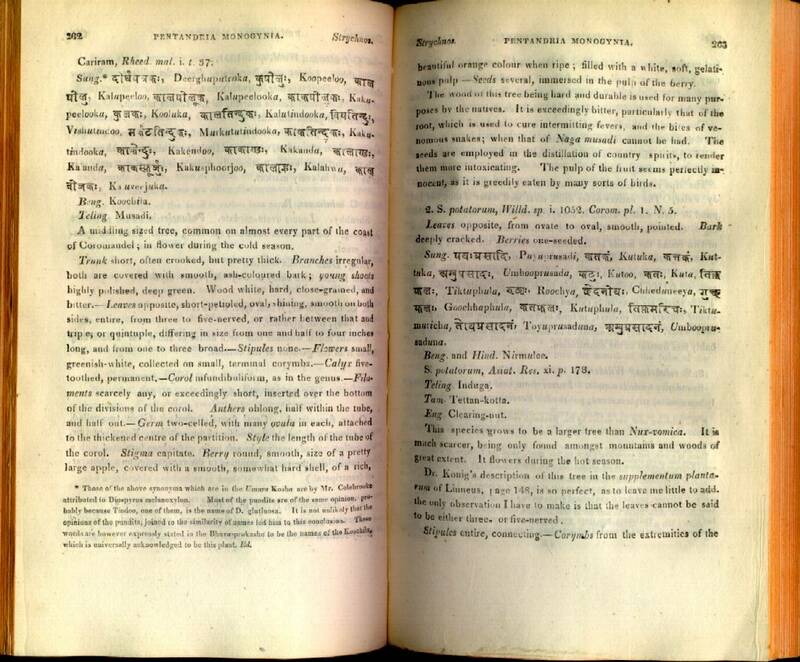 Roxburgh and Wallich corresponded with numerous persons in the Far East and in Great Britain. 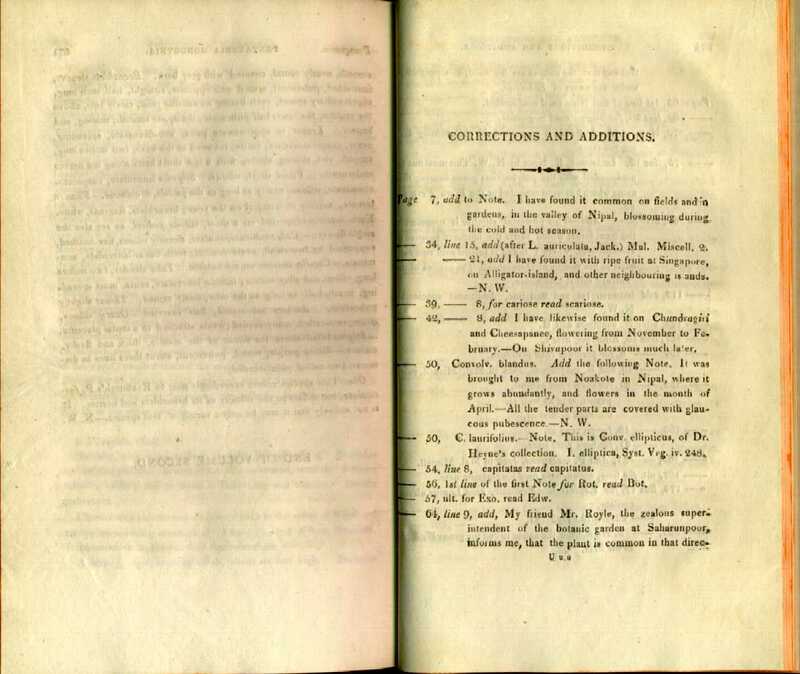 To view a letter by Dr. Roxburgh, as well as a letter by Dr. Wallich--including page images of their handwriting--click below for letters each man sent to Sir Joseph Banks. 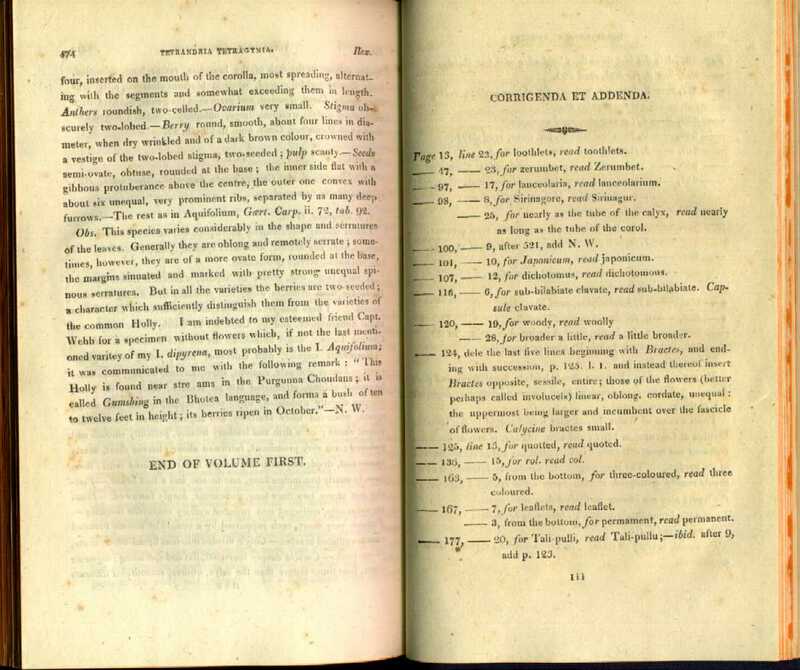 William Carey's interests in botany and agriculture were expansive. 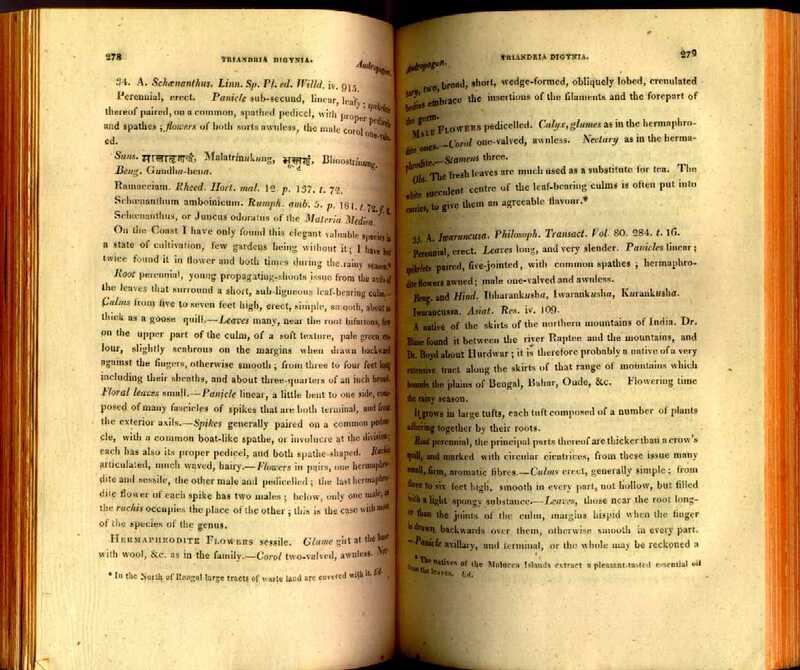 In 1820, he established the Agricultural and Horticultural Society of India. 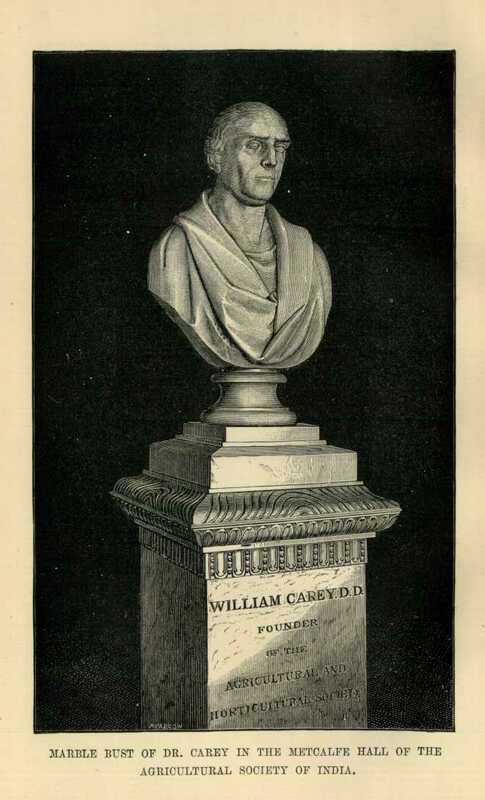 The William Carey Bust in the Agricultural Society of India memorializes Carey's contribution to the Society. 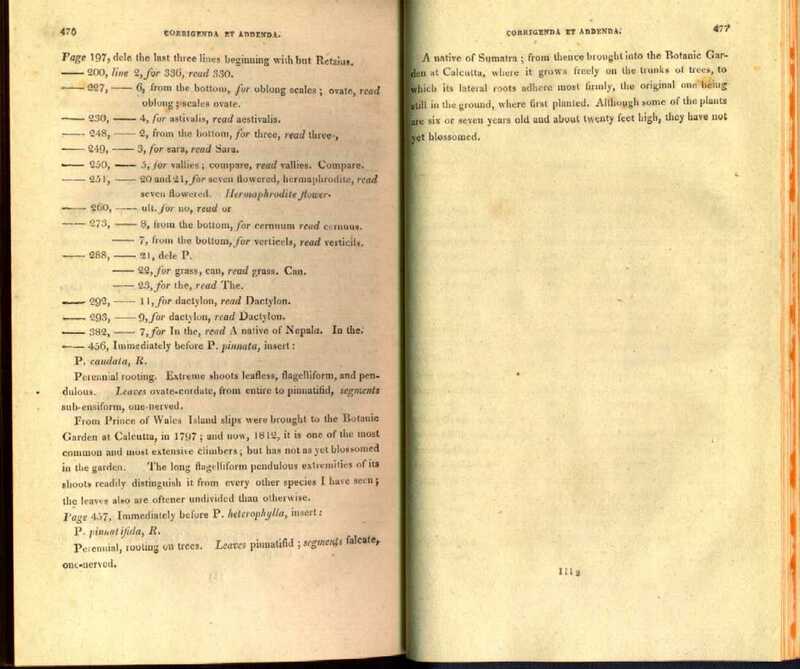 In addition, Carey's botanical interests are evident through his corresponding membership in the Linnean Society of London, where some of his archival papers reside. 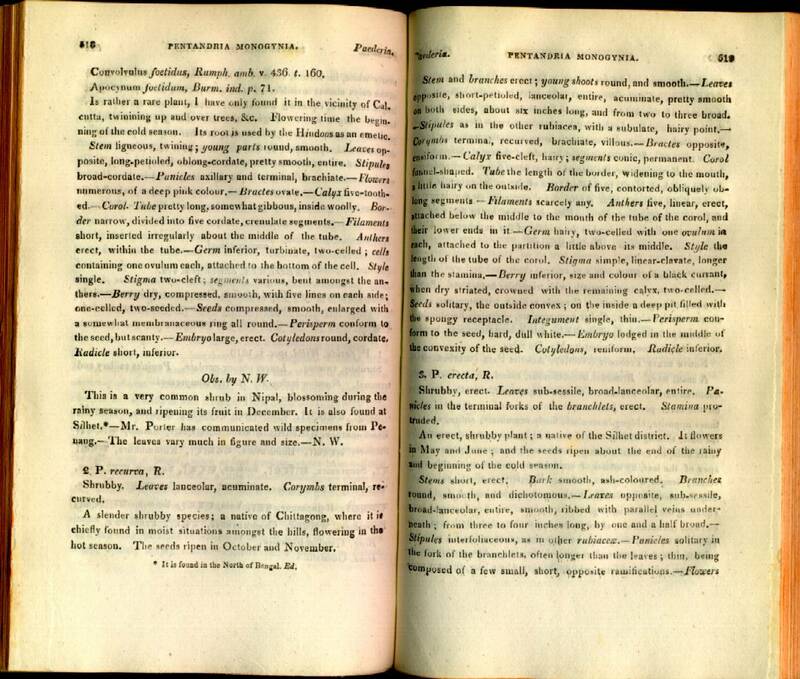 One of the standard biographies of Carey, highlights his botanical interests: S. Pearce Carey, William Carey, D.D., Fellow of the Linnaean Society (New York: George H. Doran Co., 1923). 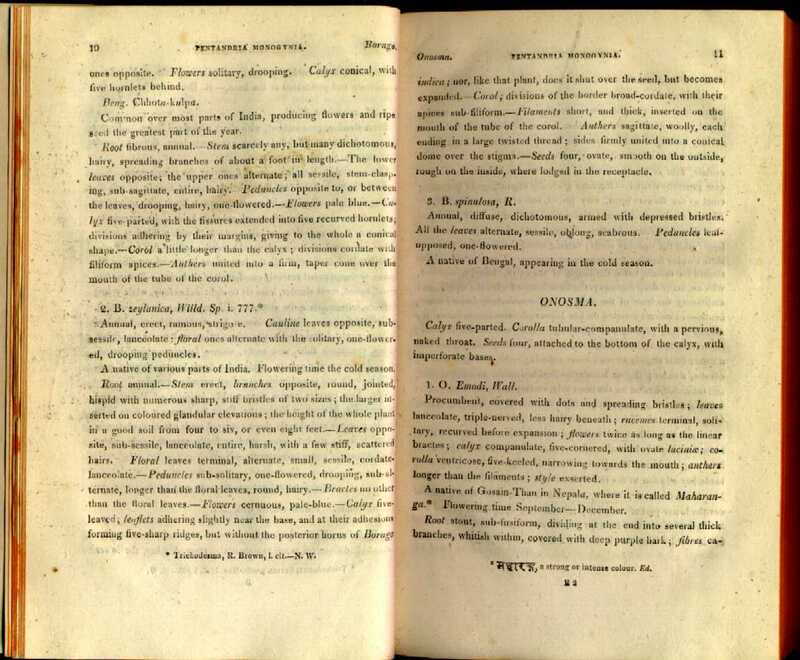 To view a full color image of the background on this page, Rosa Indica, Grande Indienne, click here; to view a larger image, click here. 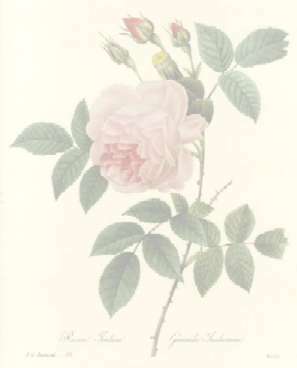 This image, Rosa Indica, is a reproduction of an 1833 print painted by Pierre Joseph Redoute and appearing in his book, Beautiful Flowers and Fruits. Redoute (1759-1840), called the "Raphael of Flowers," was the one of the most popular of the French botanical artists. 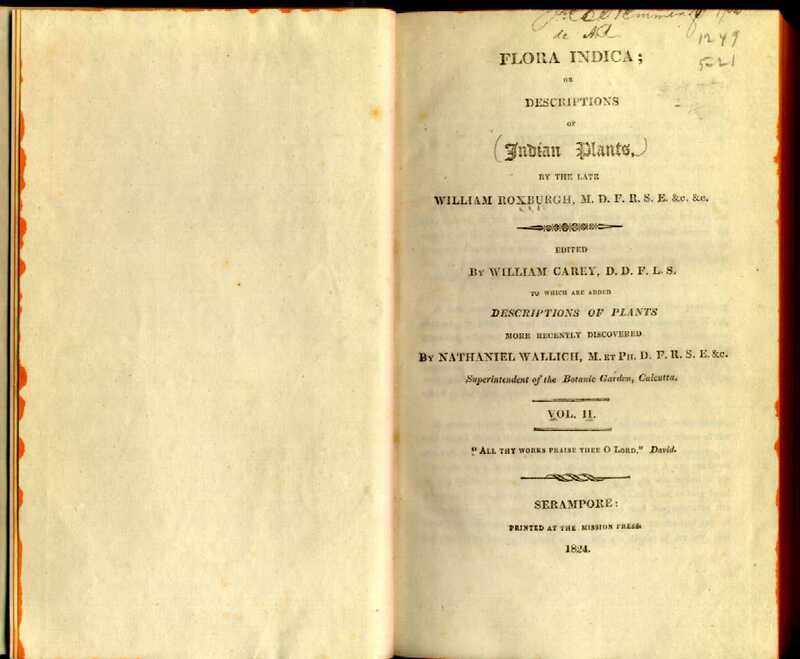 The Center's copy of Flora Indica was made possible by a memorial gift commemorating the lives of Mr. T. Lewis Fowler, Jr. and Mr. Grady Doss.